As the first book in what is becoming not only a five book series, but also a new Netflix TV show, The Last Kids on Earth is a prime example of entertaining reading for ages 7 to 13. 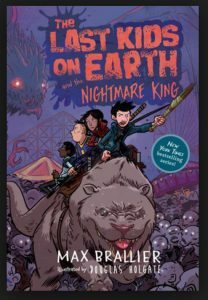 Max Brailler (author of Eerie Elementary and Lego Nexo Knights books) has managed to tackle the, often commercially risky, sub-genre of a post-apocalyptic world with hugely rewarding characters and wonderfully playful humor. In the vein of Diary of a Wimpy Kid and other first-person narrated coming-of-age stories, Brailler has created characters that are relatable and have plenty of room to grow – a winning combination for his audience. While reading this book with my 9 and 10 year olds, one of which is quite the reluctant and picky reader, they begged me to keep reading at the end of every chapter. We read the first book in three nights (as our bedtime book) and immediately had to get the second and third ones, not knowing a fourth and fifth were coming soon. If you or your children are seeking an entertaining read with lovable characters, child-appropriate humor, and spot-on illustrations you will want to read the entire series as soon as possible! Book four is due out September 4th, 2018 while the Netflix series is set to start sometime in 2019. Watch the Netflix pre-trailer video. 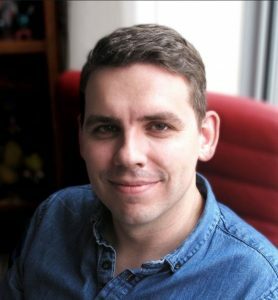 Check out Max Brailler’s website here.